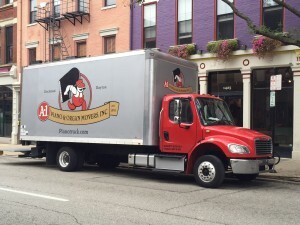 When you choose A1 Piano And Organ Movers Inc., you’re choosing more than a moving company, you’re choosing nearly 60 years of experience in providing an unparalleled level of care to each instrument we move. 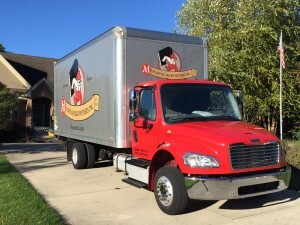 Our family owned business has been serving the local and long distance moving needs of our customers in the Cincinnati, Dayton and Columbus areas of Ohio since 1955. Our bonded and insured crews are highly skilled in the art of piano moving. You can count on each member to be clean, courteous and efficient. Driver/crew leaders have an average of 20 years experience in piano and organ moving. Their dedication shows in every move, from across the room to across the United States. We have the expertise to handle any move from difficult stairway moves to multi story craning. Our courteous staff is dedicated and pays close attention to detail. Our piano professionals understand that keyboard instruments not only have significant monetary value but also priceless sentimental value . You can trust our 60 years experience in providing you with the perfect piano move! Free accurate no obligation estimates are given by phone by our knowledgeable office staff. We take the time to listen and understand your moving needs. When given a price, you can be assured that it is the total price. Our all inclusive rate includes full replacement value insurance, mileage and driving time. You will never be surprised by hidden charges on your invoice! We will safely transport your piano with our fleet of modern vehicles. We will provide the finest in keyboard instrument transportation. From our skilled staff to our state of the art equipment, you can be assured your instrument is being cared for by the best in the industry. We never broker or sell your move to other movers. Custom crating is available for international shipments and domestic storage. We use new solid wood heat treated crates built to order for your specific instrument. All crating is handled by our company personnel. We offer short and long term storage in our 1500 sq. ft. climate controlled facility with 24 hour video surveillance. It means you can relax, knowing your valuable possession is safe and secure. Our Multi-Generational Team has Decades of Experience! FROM THE MOMENT YOU CONTACT US, YOU WILL BE IN TOUCH WITH ONE OF OUR MOVING PROFESSIONALS WHO WILL LISTEN TO YOU AND GIVE YOU THE MOST INSIGHTFUL AND PROFESSIONAL ADVICE AVAILABLE. 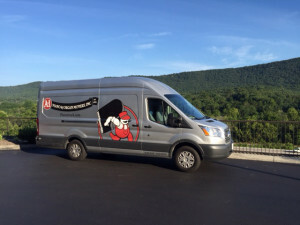 We provide local and long distance piano and organ moving services for residential customers, piano dealers, piano professionals, technicians, rebuilders, flooring companies, schools, churches, colleges and universities. We also provide long distance moving services for many midwest piano dealers and piano technicians.